Woot, Woot…time for CONFETTI CAMERA! Hello, sweet Fetti’ Fans! Lisa Henke here bringing you this week’s Confetti Camera Challenge. 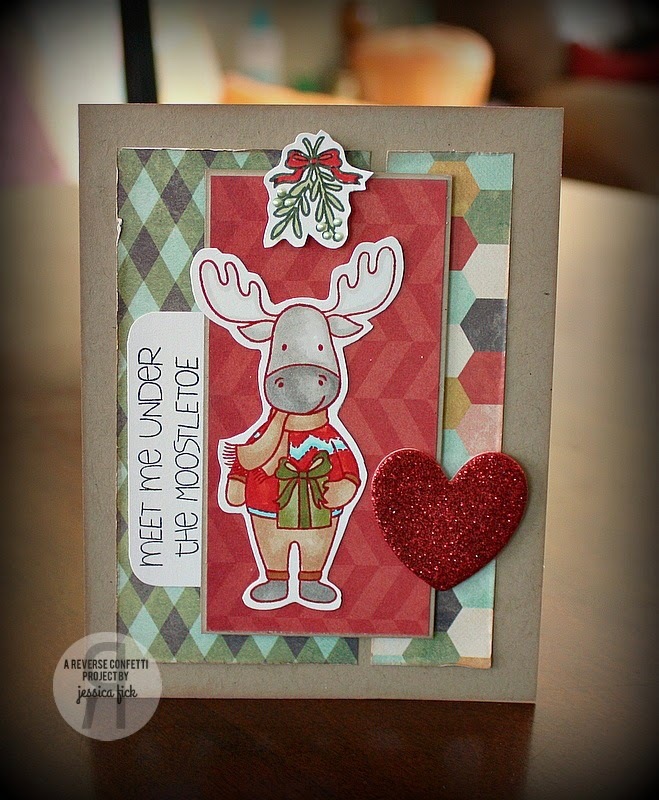 I pulled out the adorable Quirky Cutie: MARLEY MOOSE for my Inside & Out card today. I loved this challenge because I admit I have been horrible about doing up the inside of my cards recently. I used to do it all the time. I forgot how fun (and cute) it is. It adds just that little something extra to your card that the recipient is SURE to love……AND it’s another great way to get more mileage out your supplies. I used the current Retro Sketch for my layout and added my favorite LET IT SNOW Confetti cuts done in vellum and topped with sequins. I hand cut a snowy hill and accented that with the CIRCLE GARLAND Confetti Cuts die. I love this Marley Moose stamp set because it’s not just for holiday time. He can be used ALL winter long. Here’s a closer look. With all the flakes flying, I decided to give him a hat. I stamped him and the hat on X-Press it blending cardstock and colored them up with Copics. I then cut him out and popped him up with some foam dimensionals. Here is the INSIDE of my card. 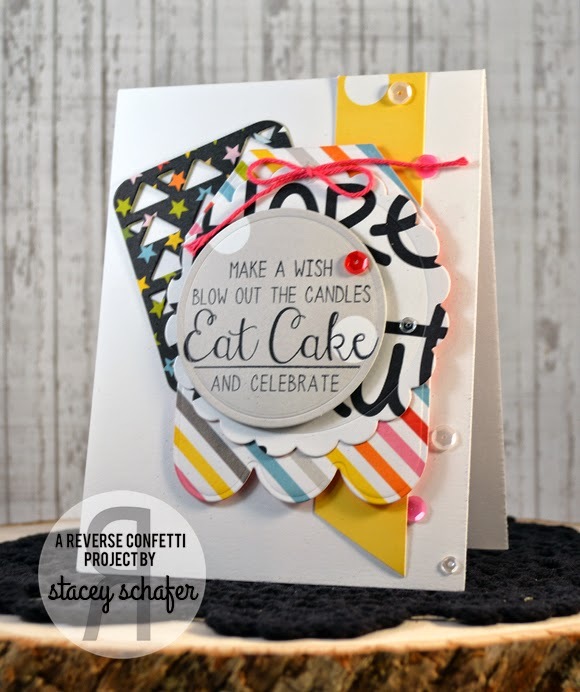 It’s a great way to pull in colors you used on the outside of your card. So I layered up some coordinating cardstock for the base. When using a line art image, like those from the Quirky Cuties line, I like to add a partially inked image of the same stamp done in a colored ink. I felt like there was a lot going on on the outside of my card, so the INSIDE was the perfect place for the sentiment. I also tied in another vellum Let It Snow flake. Still simple and super sweet! There is also plenty of space for a handwritten note.